Helping Kennards identify the spectrum of their customer types. 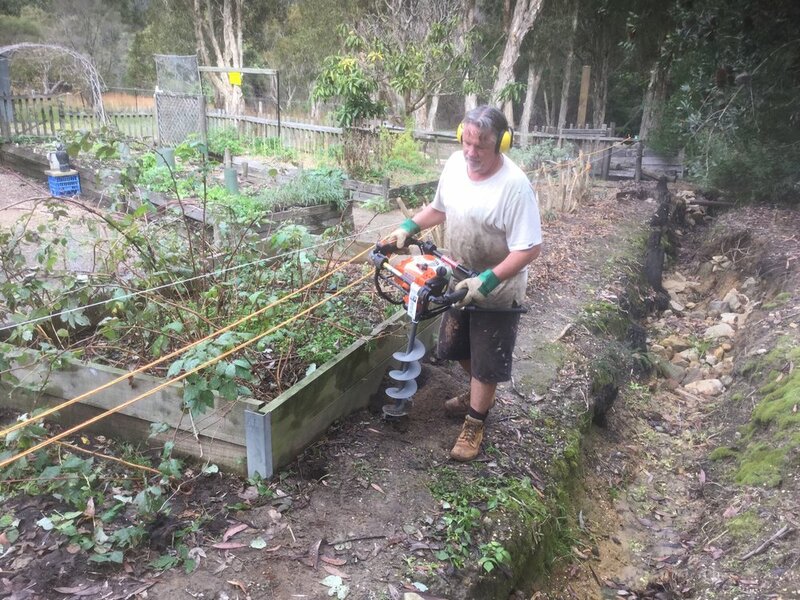 Kennard’s Hire deal with very different types of customers – from the clueless DIYer through small tradies to councils and multi million dollar construction companies. Even within DIY customers there is a wide spectrum. 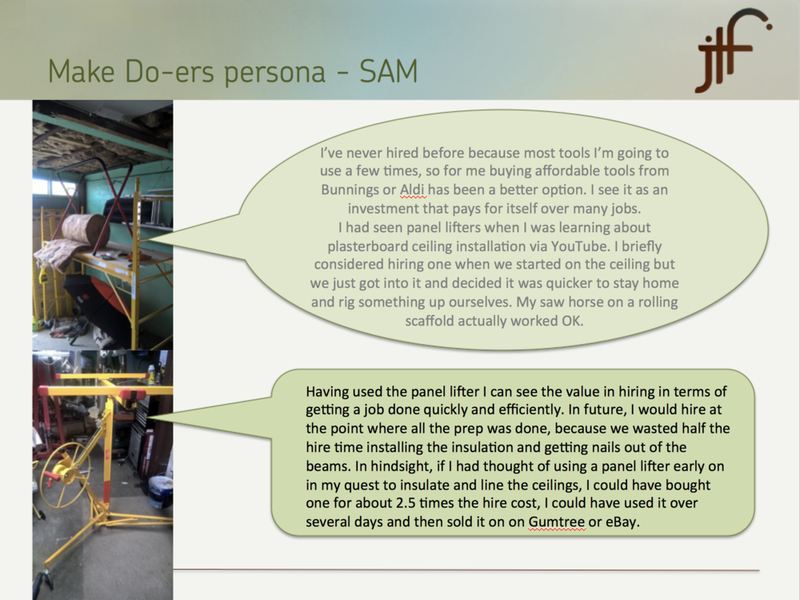 In order to better understand the DIYer and ultimately service their differing needs, Kennard’s needed to develop personas of different customer types. 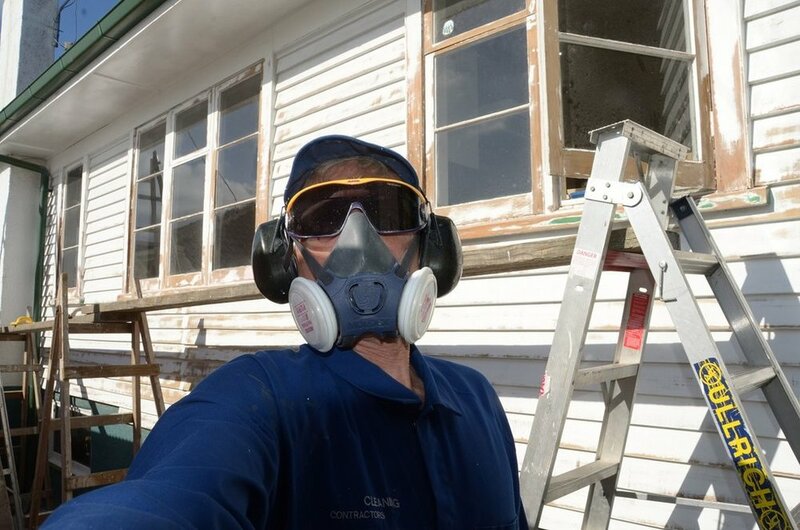 We created an online forum where DIYers in Australia and New Zealand documented the story of their DIY job and hire experiences as they evolved over time. 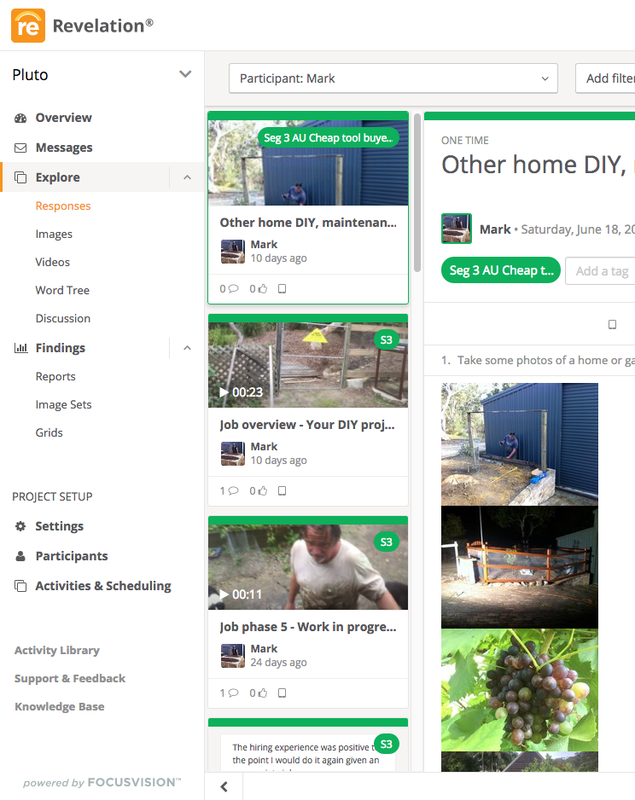 Participants posted videos, photos and created blog posts as their project progressed. 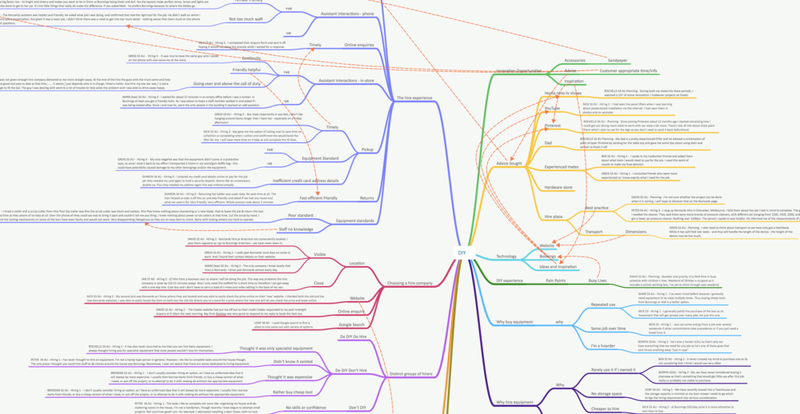 These online journal entries and visual artefacts formed a lasting resource for stakeholders. We interacted with each participant along the way, probing needs and feeling. 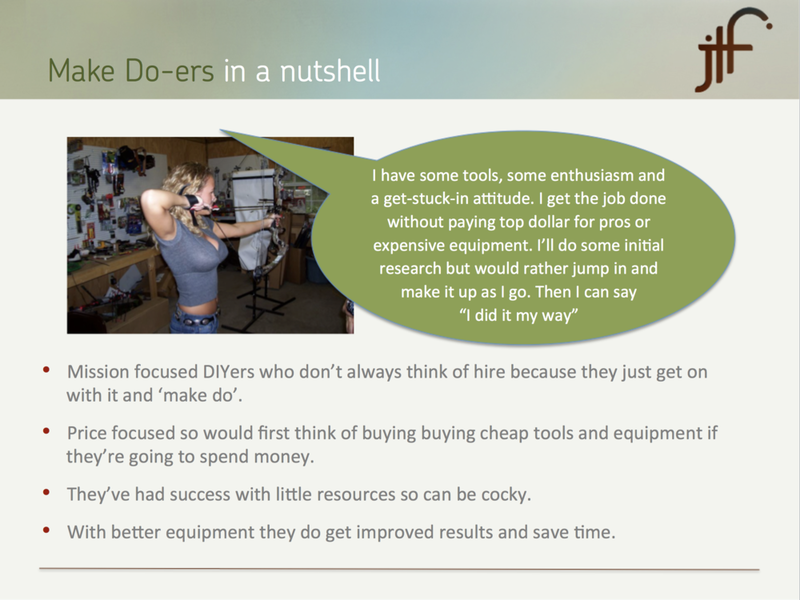 We could see the role of hire within their DIY project, we could track their needs and pain-points, but more than that we were able to develop an understand of of what DIY meant to them. 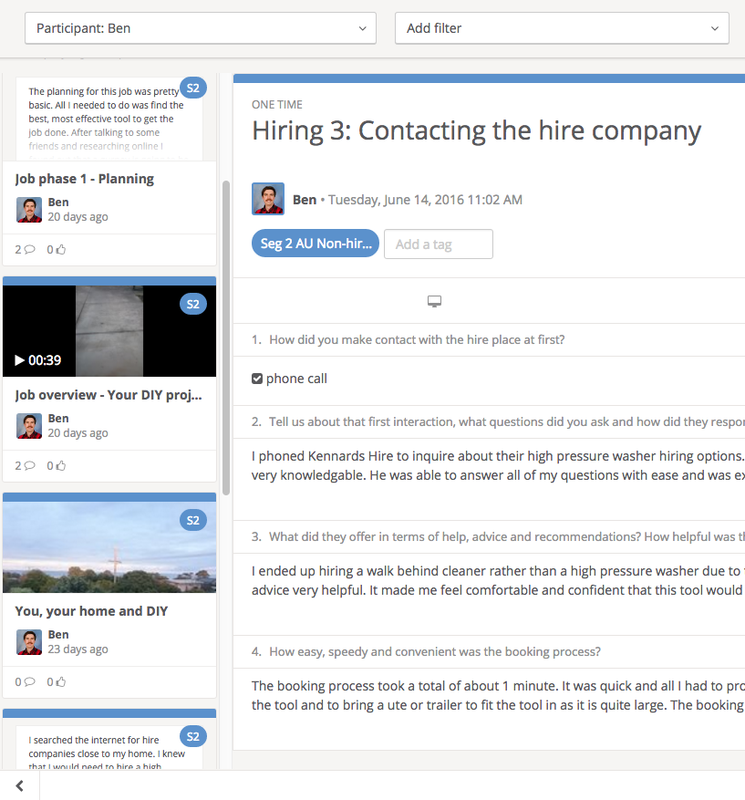 This created a rich, real and engaging story that allowed us to build vivid customer personas. 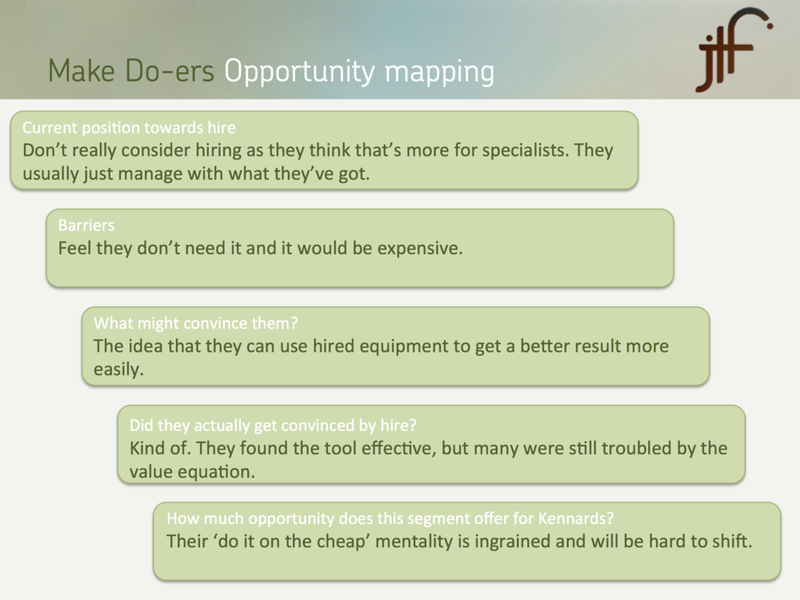 Kennards were then able to understand the role of hire for different customer types and so which segments were likely to be most profitable to target.